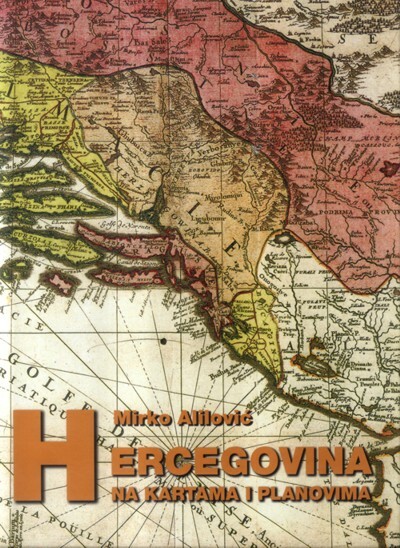 The monograph Herzegovina on Maps and Plans was published in Velika Gorica in 2015. It is a large format book (22 × 33 cm), hardcover, containing 268 pages and more than 130 illustrations, mostly maps. Its author is Mirko Alilović, graduate engineer of geodesy, the publisher is NI-AL d.o.o., co-publisher is Ljubuški municipality, editor in chief Prof. Dr. Božo Skoko, reviewer and proof-reader Prof. Dr. Miljenko Lapaine. The book's ISBN is 978-953-58473-0-4 and it is written in Croatian.